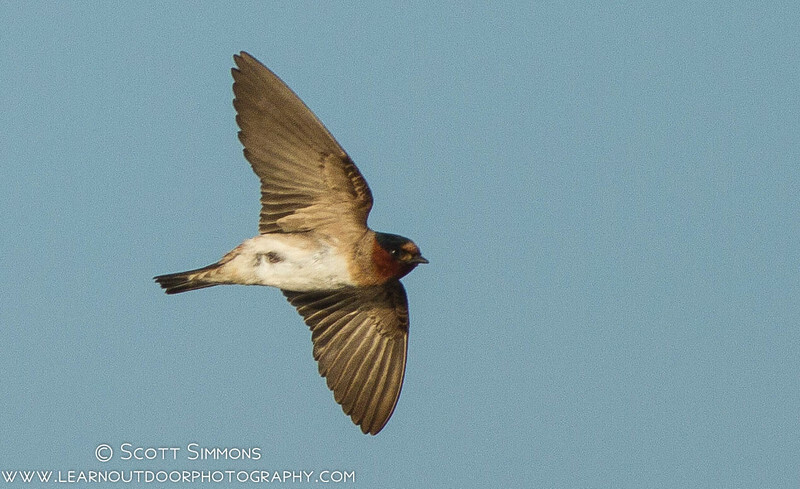 This past June I finally took some presentable photos of Cliff Swallows. There is a place in Orange County where they're known to breed, so one early morning I drove out there hoping one would be cooperative. 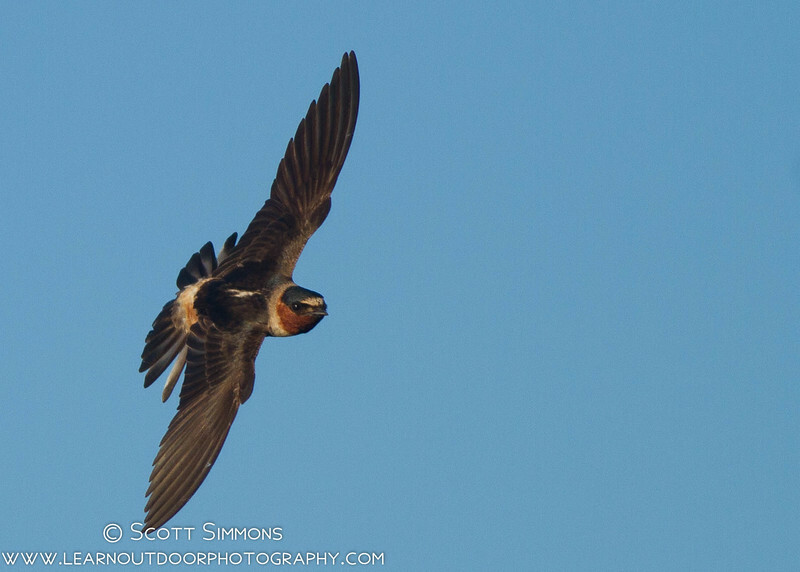 I actually found at least three there around two nests. 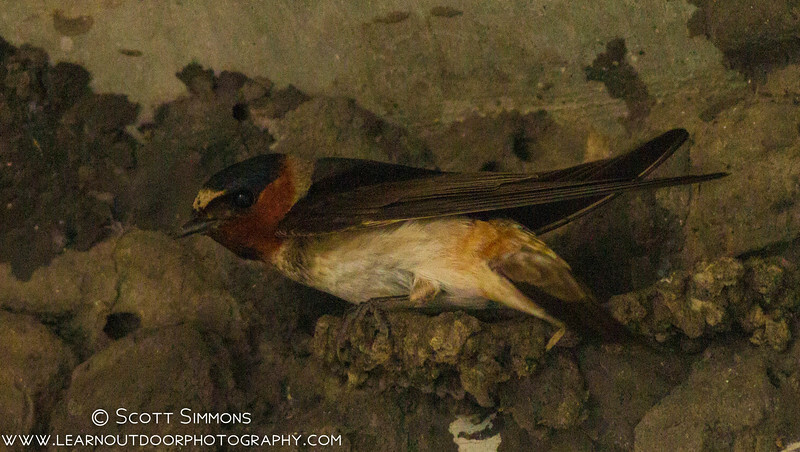 Of course, they were nesting under a bridge, which was quite a bit darker. My photos of them pearched around the nest area were not as good, since I don't use flash, but I figured I'd share one just for fun.